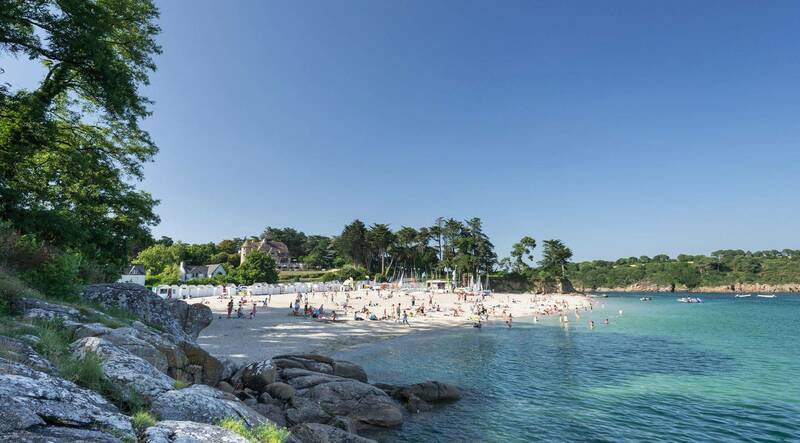 Airotel La Pommeraie de l'Océan campsite is ideally located at the entrance of Pointe de Trévignon, famous for its numerous white sand beaches facing the impressive Glénan Archipelago. 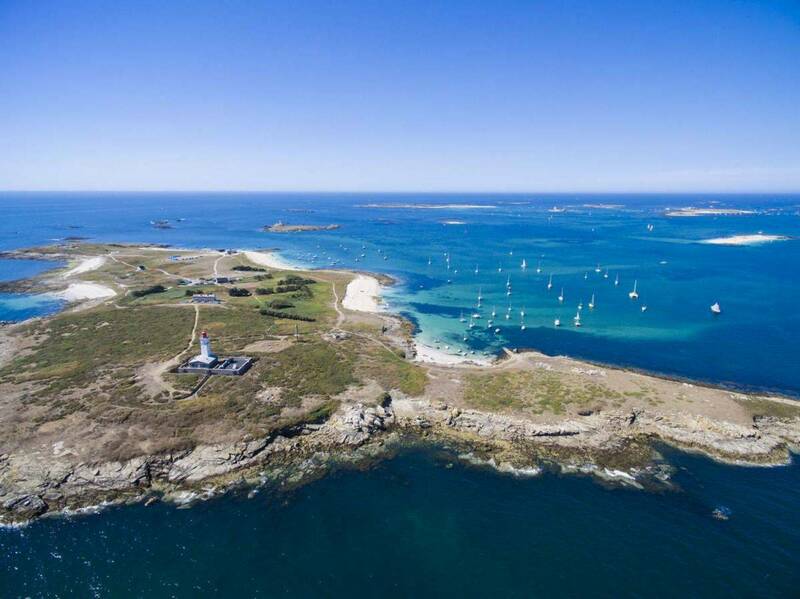 The many coves and beaches that surround Pointe de Trévignon are just a few minutes walk from the campsite along a footpath located 250 metres from the campsite. These white sand beaches are renowned for the transparency of the water and the quality of their bathing waters. The picture postcard scenery and the turquoise blue waters will take your breath away. At the end of Pointe de Trévignon there is also a small port whose shapes and colours are the exact image you no doubt have of the Breton coastline. Crustaceans and fish are sold at the fish auction everyday and the local market on Sunday morning sells plenty of seasonal products. Creperies and other restaurants offer an array of delicious Breton dishes for holidaymakers to enjoy in the most outstanding setting. 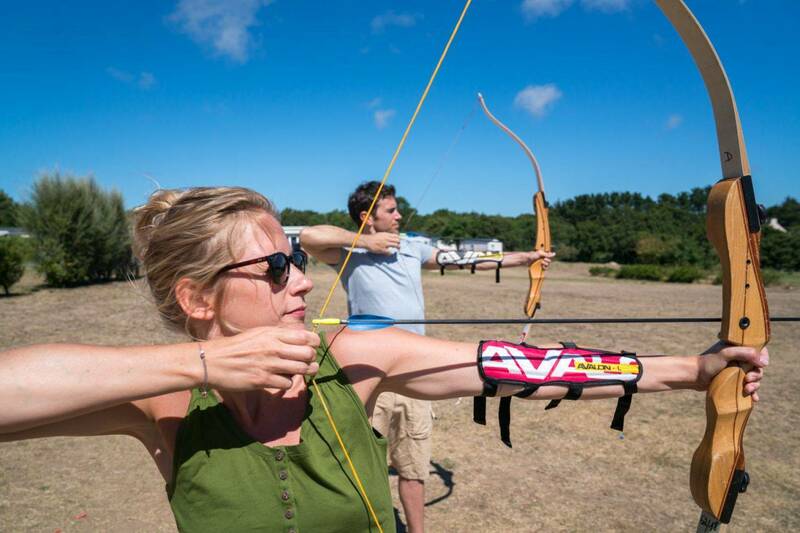 Open from the beginning of April until mid September, Airotel La Pommeraie de l'Océan campsite welcomes holidaymakers to its superb 17-acre wooded park. 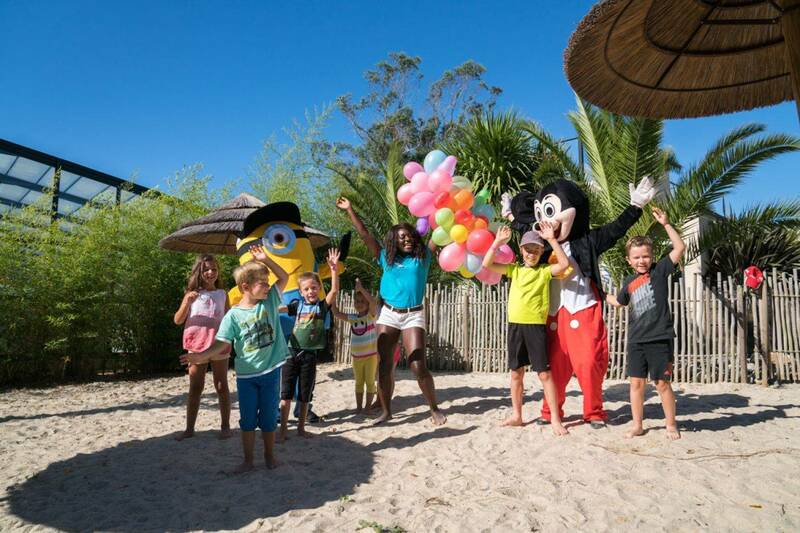 The Airotel La Pommeraie de l'Océan campsite offers a wide range of leisure facilities and organises numerous fun family activities so that everyone has the best holiday ever! Our campsite is the ideal choice for a relaxing, fun-filled holiday ! They can also have fun in the leisure area which comprises a playground, a bouncy castle. In peak season, we have two children's clubs which organise lots of activities and entertainment for 3 to 9 year olds and 10 to 17 year olds. A games room with a TV corner is also open throughout the season. 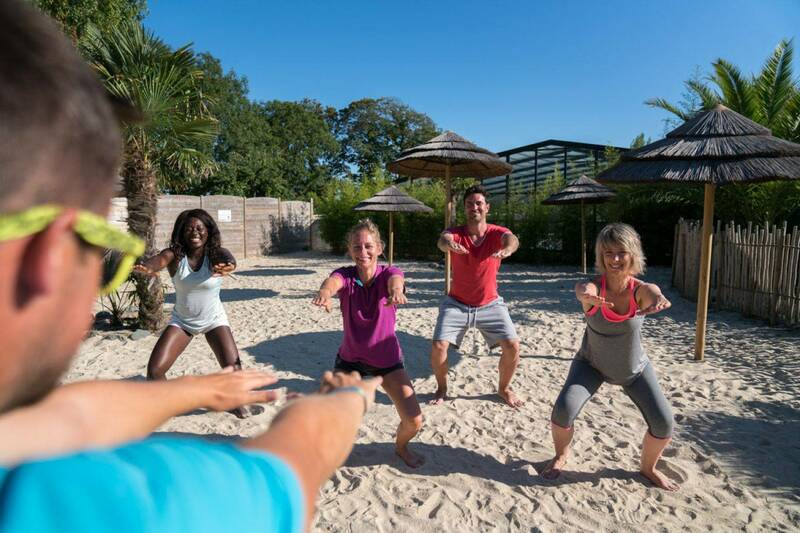 The Airotel La Pommeraie de l'Océan campsite also has a number of sports facilities, such as a multi-sports court, beach volleyball, badminton courts, table tennis tables, a bowls pitch, a fitness room and an open-air fitness course. At the pool, you can sign your children up for swimming lessons, (for a fee) or join in the aquagym, waterpolo and other activities on the programme. We also offer a range of massages and beauty treatments on-site. Plus a choice of cultural and sports activities and tourist attractions nearby. 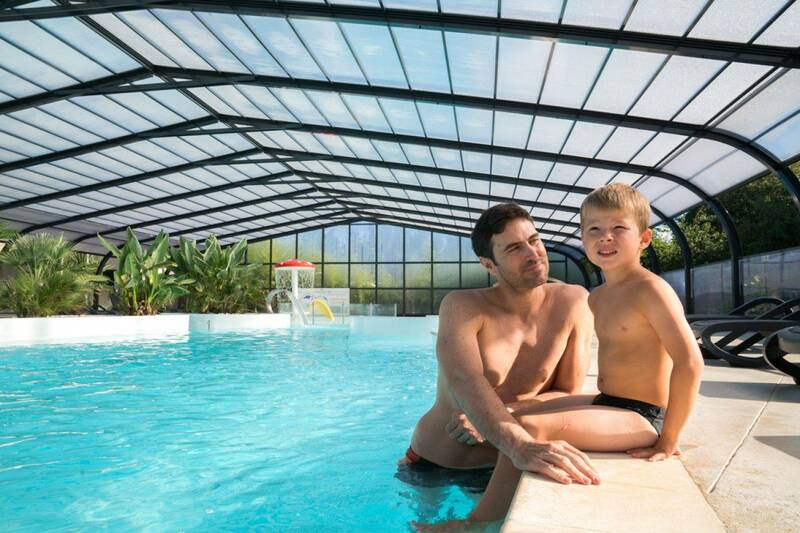 The Airotel La Pommeraie de l'Océan campsite is a superb 17-acre wooded park. It offers spacious pitches and rented accommodation which take up a large majority of the camspite, the rest of the site being occupied by the numerous campsite facilities and amenities. 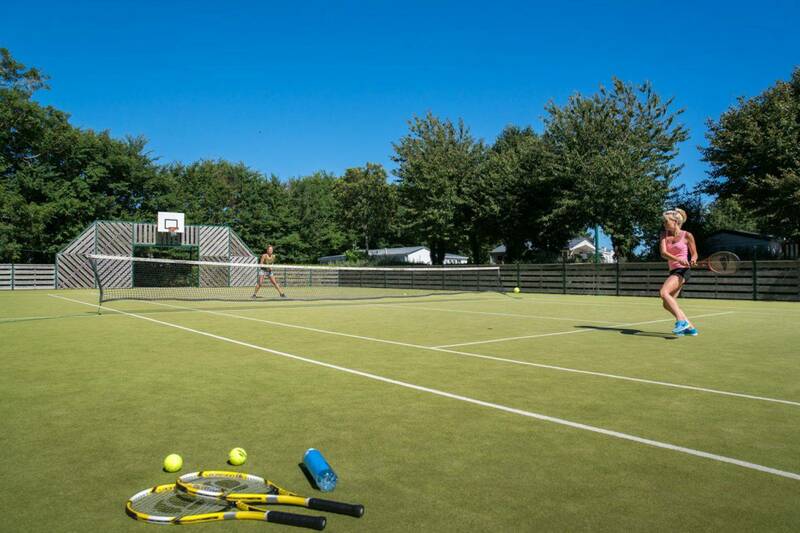 The pitches, which measure approximately 100 m ², comfortably accommodate tents, caravans and motorhomes. They cater for up to 6 people per plot. They are all bordered by shrubs or small stone walls for your privacy and tranquillity and are equipped with an electrical connection point. We offer a wide range of rental accommodation at Airotel La Pommeraie de l’Océan which cater for 2 to 8 people. All have a terrace and a charcoal barbecue, which is always greatly appreciated ! 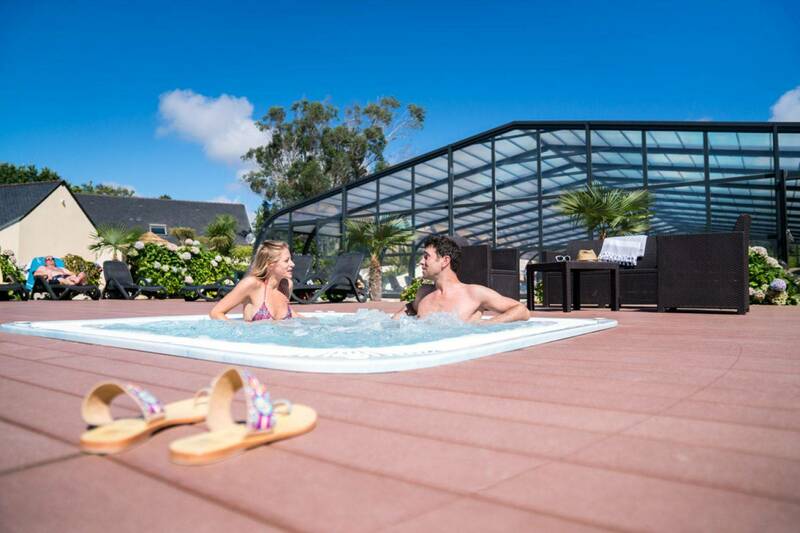 If you love to swim, then Airotel La Pommeraie de l'Océan is the perfect choice ! 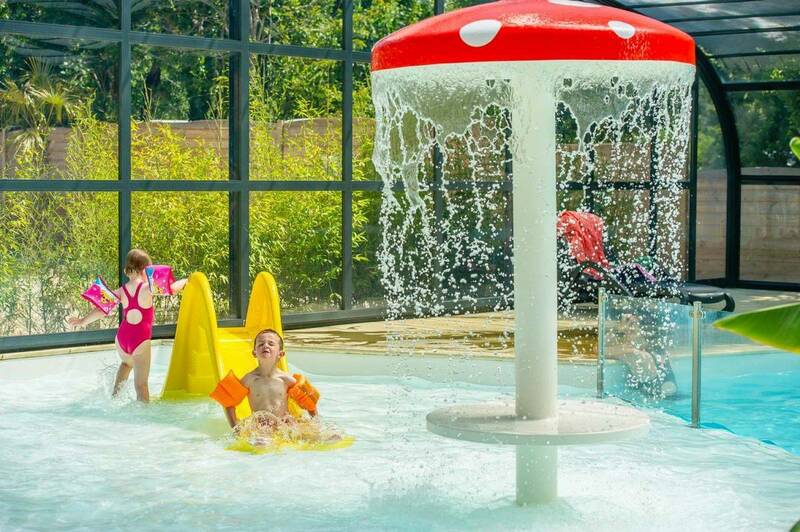 The campsite offers a pool complex comprising a large indoor swimming pool, a second outdoor swimming pool, a paddling pool, several water slides and a jacuzzi… there’s something for everyone. There are plenty of sunbeds around the poolside so you can enjoy a spot of sunbathing in between your swims ! And for your wellbeing, the pool complex also has a jacuzzi, water jets, swan-neck waterfall and aquabikes. You can also enjoy a swim in the crystal clear water at the sandy beach, located just 900 metres from the campsite. Picture-postcard scenery a stone’s throw from the campsite. We offer a wide range of rental accommodation at Airotel La Pommeraie de l’Océan which cater for 2 to 8 people. All have a terrace and a charcoal barbecue, which is always greatly appreciated ! You will be spoilt for choice ! The campsite is also within easy reach of hiking trails, beaches and nearby towns. Discover the spectacular seascapes. Nature changes at every turn from long dune cords to steep creeks, from towns to small port villages, from wild landscapes to more traditional Breton landscapes. After your escapade, there are many places where you can enjoy a traditional salted butter caramel pancake with a bowl of cider or « chouchen ». There are also a choice of cultural and sports activities and tourist attractions nearby for holidaymakers to enjoy.